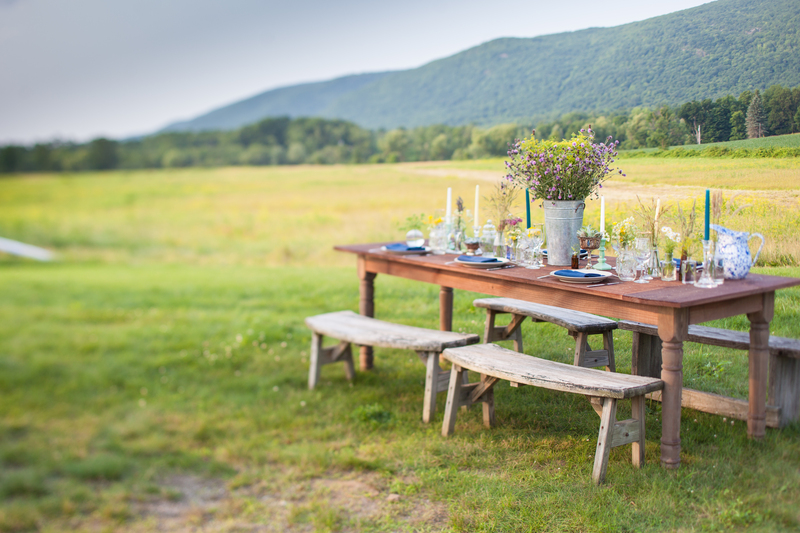 Styled Summer country photo shoot : Stunning property in the Hudson Valley allowed us to style this photo shoot for one of the Berkshire catering companies. 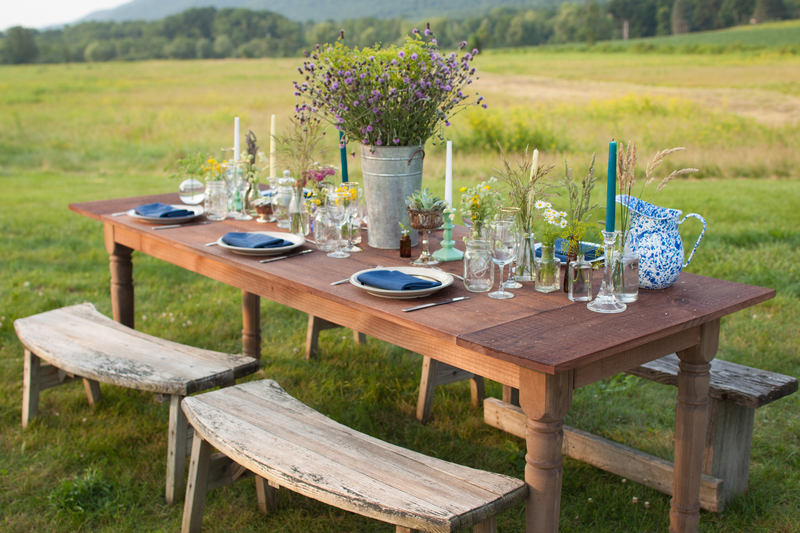 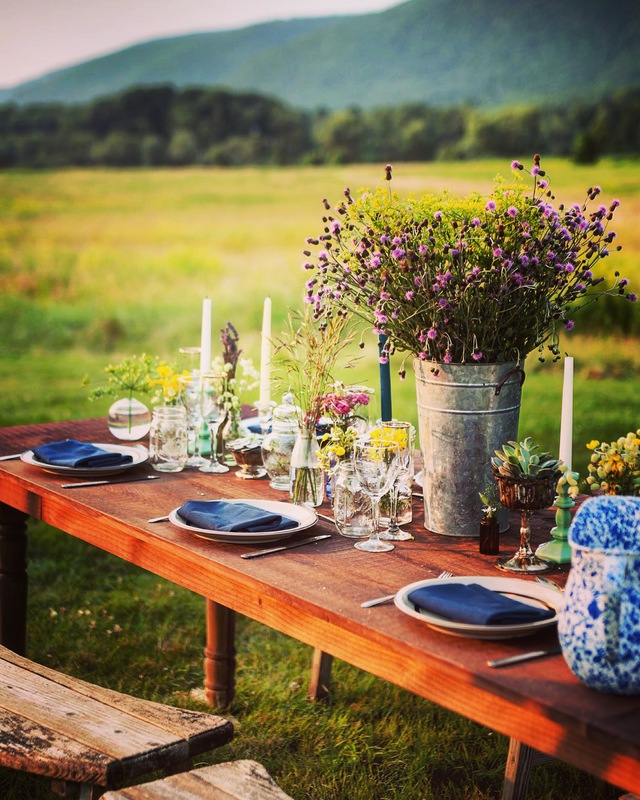 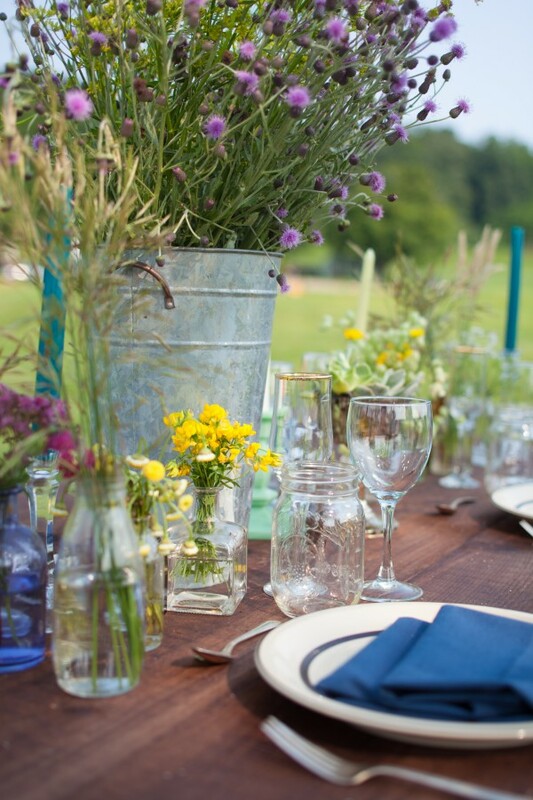 We chose stunning Brace Mountain as a back drop for this country table decor. 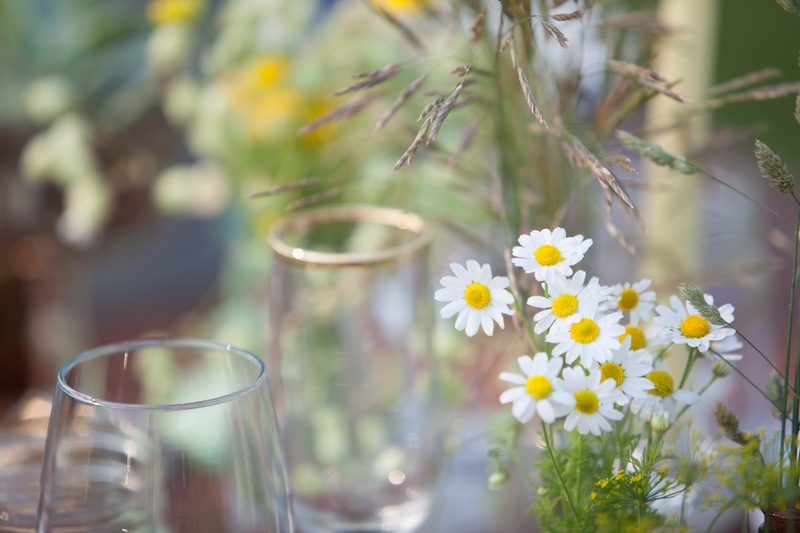 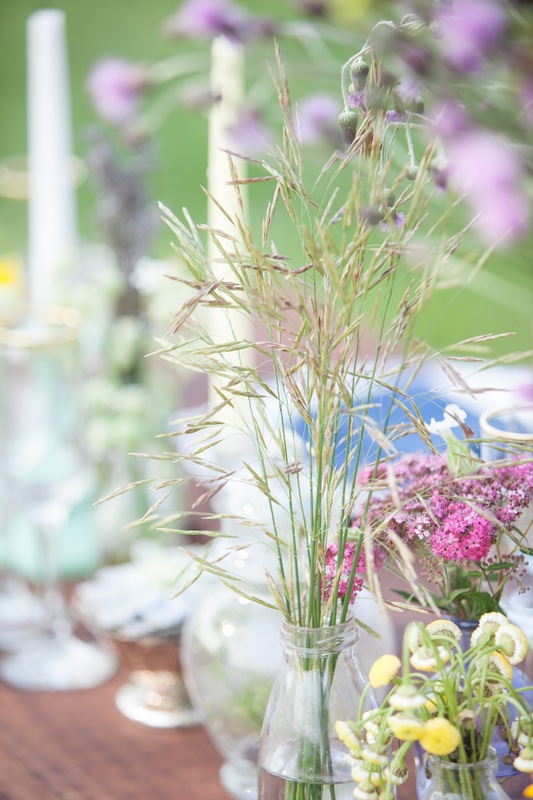 Lots of small vintage bottles filled with filed flowers added warm, summery feeling to the dark wood textures of the table.